You've probably heard of the problems that the Kodak company is having, as it had to declare bankruptcy and has announced plans to exit the digital camera manufacturing market. However, that unfortunate news doesn't mean that those people who already own Kodak cameras are out of luck when it comes to fixing problems. Camera repair centers will still accept Kodak cameras for repair, if needed. Kodak will continue to honor any warranties, if needed. 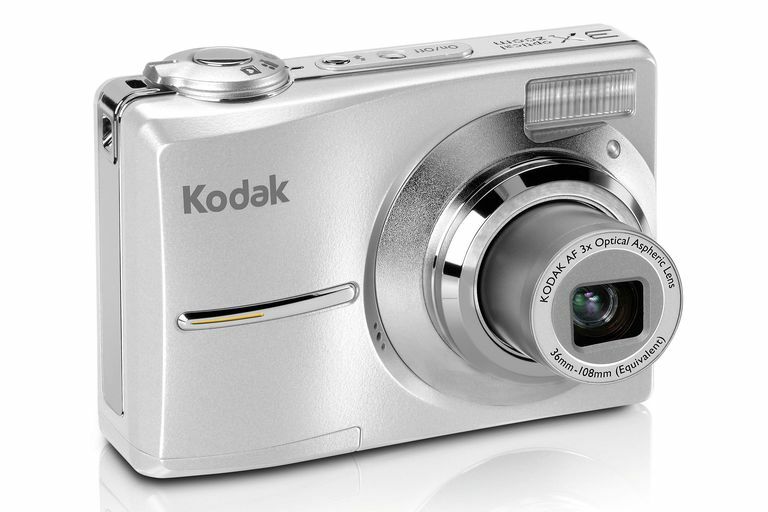 And, if you experience problems with your Kodak camera from time to time, you can still try troubleshooting Kodak cameras on your own. Use these tips to give yourself a better chance to fix the problem with your Kodak camera. The battery life is too short. If you're using a rechargeable battery, make sure the metal contact points on the battery are clean and free of grime. It's possible that the battery is near the end of its useful life — as rechargeable batteries age, they lose the ability to hold a full charge. Consider replacing the battery. The battery will not charge. Some Kodak cameras will charge the battery inside the camera through a USB cable connected to an outlet. Others will charge the battery inside a separate battery charger. Make sure you're using the right system for your model of Kodak camera. Additionally, inspect the battery as described above, looking for damage or grime. The camera will not record photos. First, make sure the memory card has room to record more photos. Next, turn the Kodak camera off for 10 seconds, and then press the power button again. If you still cannot shoot photos, try removing the battery for at least 15 minutes to reset the camera. Also keep in mind that you cannot shoot another photo until the flash has recharged and the previous photo has been copied to memory, which may cause a slight delay if you're trying to shoot several photos in a row. The camera will not turn off. Remove the battery from the camera and leave the battery out for at least 15 minutes. Make sure the battery has a full charge, too, as a lack of power could cause the camera to lock up. The LCD has a reversed image or horizontal lines. Was the Kodak camera recently dropped or exposed to liquid? If so, it could explain this problem. In most instances, this issue indicates a serious problem with the camera that probably will require a repair center. Before trying a repair center, try these two tips. First, make sure the camera is not being used in extremely cold weather. Otherwise, remove the battery for at least 15 minutes to reset the camera. The lens will not fully retract inside the camera. Make sure any cables connected to the camera are removed. Make sure there are no foreign particles or sticky substances on the lens housing. Finally, make sure the batteries are fully charged. Don't physically force the lens back into the housing. In addition, if the camera has been dropped recently, that could cause the lens housing to get stuck, meaning the Kodak camera could need repair. The photos are a little blurry. First, make sure the lens is clean and not smudged with a fingerprint. Second, the camera could be having difficulty focusing. If you are trying to shoot a close up, be sure to use macro mode to achieve better focus results. Try pre-focusing by holding the shutter button down halfway to ensure a sharp focus. Camera shake also can cause slightly blurry photos in a beginner-level Kodak camera, so consider using a tripod.